It’s happened to us all – we sit down for a glass of wine with someone we didn’t realise was an expert and suddenly feel like a six-month-old child holding a Rubik’s Cube. We’re happy to send wine gifts online to friends and family just as we’re happy to order the odd wine case delivery, but when it comes to knowing the apparent ‘proper’ way to drink wine, we freeze up. They start swirling the stuff, giving it a good sniff and eventually inhale it in a rather bizarre manner, by which time you’re wishing you’d ordered a pint of beer instead. And when they start describing to you the aroma, its various notes and how many hints they’re getting on their palate, all you can do is nod and grunt. Never fear though as we all have to start somewhere and that’s precisely why we’ve put together this quick introductory guide to wine tasting. We may specialise in wine next day delivery gifts, but at the same time we really want you to enjoy every glass of wine you’re blessed with and banish this kind of awkwardness for good. Complicated, as it may all seem, it’s actually a pretty easy thing to explain – it’s all about the senses. Wine experts use their sight, smell and taste to get the most out of their wine and once you’ve given thought to the three, you’re well on your way. While it’s of course safe to say that how pretty a wine looks to you won’t have any bearing on its taste, there are certain traits to the colour of wine that will give you a heads-up on how it will taste. As such, you should pay attention to the appearance of the wine by pouring it into a clear glass and taking a good look at it against a white background. Here you’ll be able to see how dark the wine it, how clear it looks, whether the hue of the colour is even and so much more. It takes a while to learn what it all means, but an intensely coloured wine will usually have a more intense flavour. Buy red wine that looks like over-diluted blackcurrant pop for £2 and you’ll have yourself a great example to the contrary. If you’re among the millions who think the whole wine sniffing thing is both pretentious and unnecessary, you have no idea how wrong you are. Here’s a fact to digest – 80% of the whole wine tasting experience is olfactory, which in turn means that if you just guzzle it down, you’re only enjoying 20% of it. All wines should be decanted half an hour before being served in order to begin oxygenation and the ensuing development of the wine’s bouquet…aka its fragrance. And if you don’t have a decanter, leave it in the glass for 10 minutes before getting busy with it. Swirling the wine around the bowl of the glass pumps more oxygen into it and releases a much stronger bouquet, so be sure to give it a good swirl before sticking your nose in. Take in the aromas which could be fruity, floral , smoky, spicy or really anything else you can think of – all of which get your taste buds ready for element three. You’ll be dying to taste the stuff now with all your sense firing like crazy – that’s the whole point of the ritual! Take a SMALL sip of the wine and allow it to circulate your entire mouth, in order that you’ll be able to get a good sense of each of its attributes. Wine experts speak of three parts to the tasting process – the initial impression, the evolution and the finish. When the wine initially enters your mouth it gives a first impression, but this can then transform entirely during the evolution part of the experience. Sour gives way to lushness, light gives way to body and so on. As for the finish, this represents how long the taste stays in the mouth after the wine has been swallowed. Does the finish make you want to drink more, or would you rather reach for a glass of water? So with all of the above taken into account, you might be wondering how important it is to be able to identify each individual note and accent in every wine you drink, right? Well here’s the truth on the matter – you absolutely do not. Here at thecardinalscellar.com¸ we’re fully committed to the way of thinking whereby the only thing that matters about wine is that you enjoy it. Use all of your senses to taste the wine as deeply as possible and if you think it’s pure Heaven in a glass, stick with it! It doesn’t matter if you can identify the smoky straw notes or not – it only matters that you like it! Likewise, we’d never advise you to buy white wine just because the experts say it’s great – if it isn’t a type of wine you’d normally like or will in any way enjoy, there’s really no point! 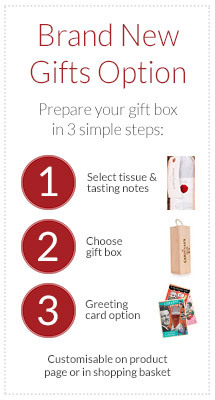 Look, smell, taste and enjoy – wine tasting made easy!